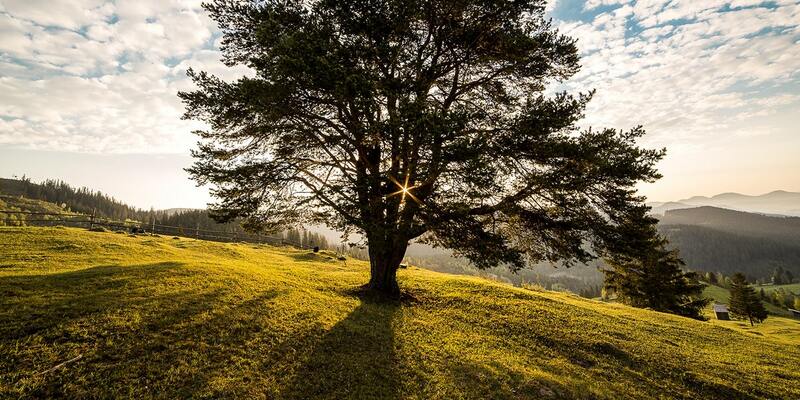 Trees are the focal point of any landscape. They are valued not only for their beauty and longevity, but also for the comfort they provide. The cooling shade of a tree provides respite on a hot, summer day and can save money too. A well placed shade tree can lower the temperature of a home by up to 20 degrees and reduce electric bills by as much as 10 percent. Trees purify the air, act as wind and sound barriers, and provide both food and shelter to birds and other wildlife. They are, quite simply, the most amazing, versatile, and majestic of plants. In 2001, Shades of Green started our tree farm, Brillo Verde, a few miles north of Frisco in Collinsville. The farm insures that we always have a good supply of quality, Grade #1 native and well-adapted shade and ornamental trees at the most competitive price points. Click here for the Shades of Green plant database or click “Plants” in the navigation bar above. You’ll find detailed information on many of the trees we sell. Please note that this is not a complete or up-to-the-minute list. Availability varies based on the season and current demand. Database information is offered for educational purposes to assist you in selecting the right trees for your needs, and does not mean that we currently have all these varieties in stock. Please contact us to inquire about current availability.